Welcome to Week #4 of the OCG 2019.01 format. 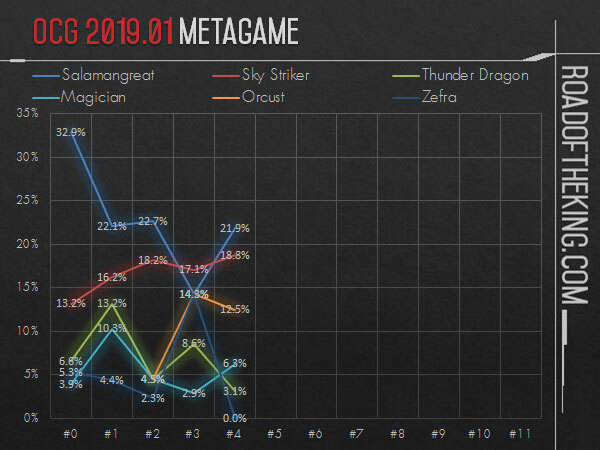 This report will cover 32 top-performing decks from 6 tournaments that were held in Japan and China during 26 – 29 January 2019. Yabu (やぶ) achieved consecutive victories in two tournaments over the weekend. On Sunday, he went 5-1-1 and finished 1st in “11th Yu-Ky CS” (Team 3v3) which had 37 teams (111 participants). Later on Tuesday, he went 7-1 and finished 1st in “81st Oretachi Trading Card Division CS” which had 60 participants. He made a good metagame call and ran 3 copies of Fantastical Dragon Phantazmay in the Main Deck. 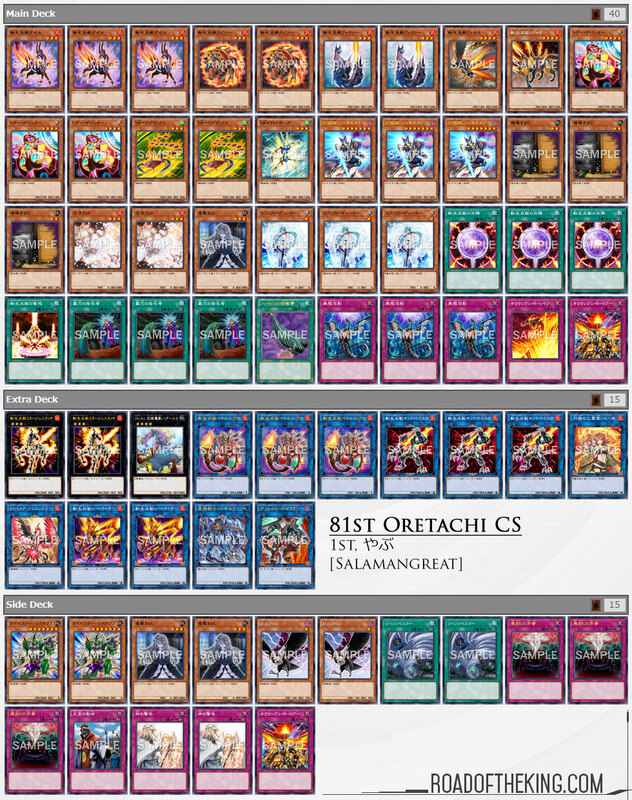 In the current competitive scene, Fantastical Dragon Phantazmay is great against Salamangreat, Sky Striker and Orcust. Although Phantazmay is not that great against Altergeist, Thunder Dragon and Magician, they would still go to Linkuriboh, Salamangreat Almiraj or Some Summer Summoner, allowing Phantazmay to be Special Summoned. Infernoid and Subterror are the few match-up that Phantazmay could be stuck in hand. But since they are not very popular, running Phantazmay in the Main Deck might be a worthwhile risk. Alive (アライブ) achieved consecutive 2nd place in two tournaments over the weekend. On Saturday, he went 7-1 and finished 2nd in “6th Aso Vic Cup” which had 64 participants. On Sunday, he went 5-2 and finished 2nd in “11th Yu-Ky CS” (Team 3v3) which had 37 teams (111 participants). He ran a copy of Evilswarm Exciton Knight in his Extra Deck. 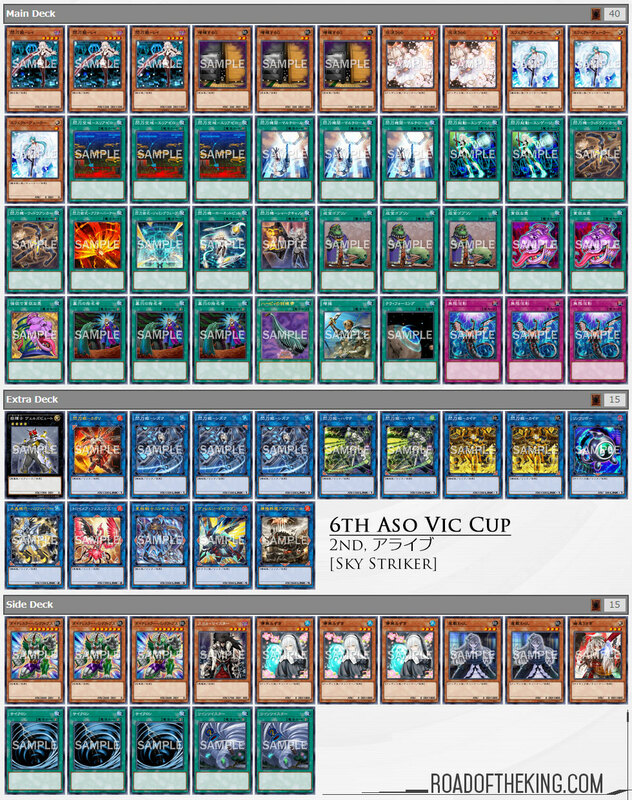 Xyz Summoning Evilswarm Exciton Knight is not easy for this deck and often involves using 2 Sky Striker Ace – Raye. When falling behind in the Sky Striker mirror match, Exciton Knight is useful for wiping the opponent’s advantage gained from Sky Striker Mecha Modules – Multirole. 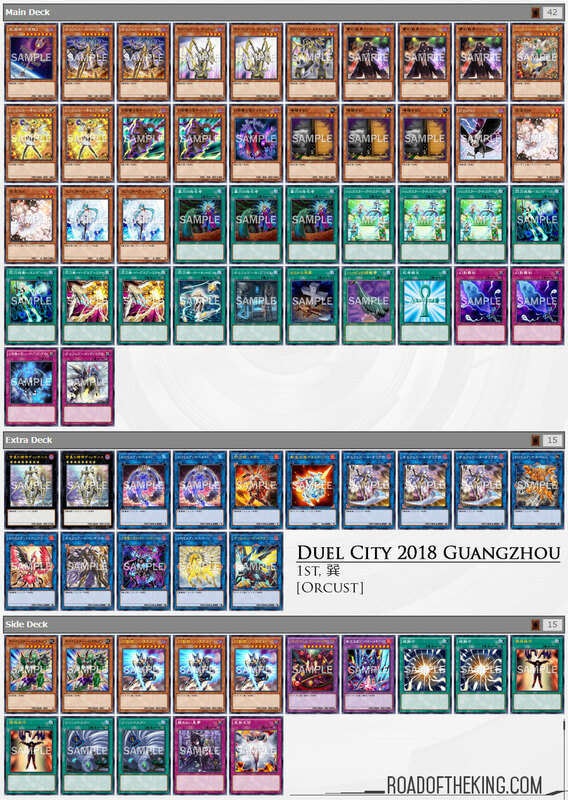 Xun (巽) went 10-1 and finished 1st in “Duel City 2018 Guangzhou” which had 122 participants. In addition to running the Sky Striker engine and Knightmare Corruptor Iblee, he ran a small Trickstar Engine consisting of just Trickstar Candina, Trickstar Corobane and Trickstar Light Stage. Normal Summoning Trickstar Candina and using its effect to search for Trickstar Corobane and then Special Summoning it would provide 2 materials for Link Summoning Knightmare Cerberus or Knightmare Phoenix to go into Knightmare Mermaid. The advantage of the Trickstar Engine is having Trickstar Light Stage to lock down an opponent’s Spell/Trap, making it safer to resolve Knightmare Mermaid. However, Trickstar Light Stage being a Field Spell conflicts with Orcustrated Babel. 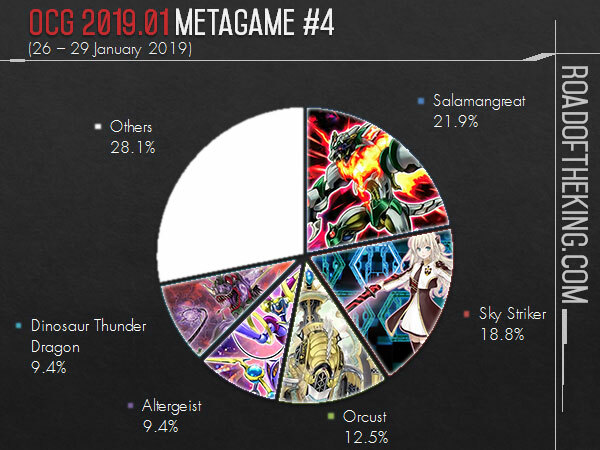 Salamangreat and Sky Striker are the top two decks, while Orcust, Altergeist, Dinosaur Thunder Dragon, Magician, Subterror and Thunder Dragon are still showing up fairly often. This diverse metagame is quite demanding on the Side Deck, causing players to favor more generic tech cards that are applicable across multiple match-ups, and cutting back on niche tech cards that are good only against a specific deck. Why are Dino Thunder never on the pie chart? They are this week, and they probably don’t top enough. Pure thunder probably tops more. Why aren’t orcust playing the speedroid or predaplant engine. They seem like good ways into knightmares.